Autoquip has been a leader in Scissor Lift Material Handling Manufacturing for many years. Since its inception in 1947 Autoquip has grown by leaps and bounds. 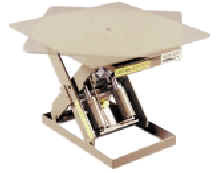 · Minimum turntable size is 34" x 34"
· The manual Series 35 Turntable is operated by hand. A number of "customized" engineering plans are already on file for the SR Series. 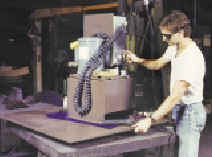 Additionally, Autoquip offers computerized engineering services for development of "one-of-a-kind" manual and powered turntable applications.